Go Green Carpet & Duct Cleaning is truly committed to improving the indoor air quality of your home. Our services can help you save money on your electricity bills and improve the quality of your health by removing allergens, mould, microbials, particulates and debris from your home. All of our technicians are fully trained, professional, prompt, and undertake to provide the best possible customer service. Cutting an access hole in the main supply and return duct work and attaching our negative air HEPA vac. to opening. 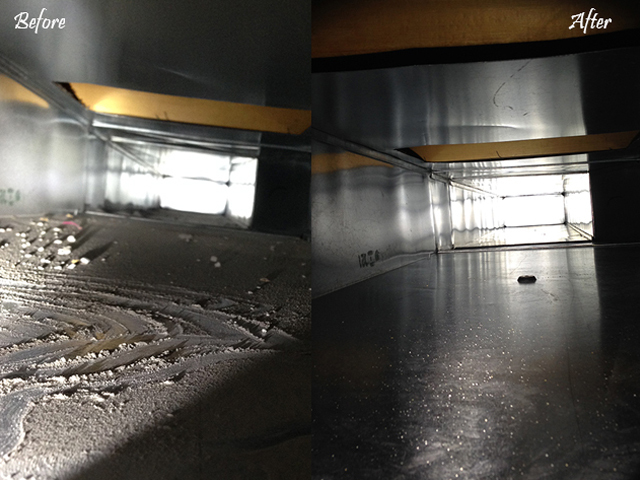 Cleaning of all supply vents and grills with 200 PSI of air with all debris forced into main trunk. Cleaning return trunks. Since the return trunks are larger, our air brush system is used to provide increased agitation. All access holes are plugged and sealed with prefabricated sheet metal, screwed down and sealed with foil tape. This will not adversely affect your heating and cooling system in any way. A final inspection is performed, debris removed, and any touch-ups that may be needed, leaving your home in its original condition. After your ducts have been thoroughly cleaned by Go Green Carpet & Duct Cleaning, you can start to enjoy the benefits of healthier living and breathe easier knowing your home is clean and you've had a quality job done!